The holidays are just around the corner. Is your bank account prepared for holiday spending? Americans racked up an average of $1,054 in debt over the 2017 holiday season, according to Magnify Money’s post-holiday debt survey. It may not sound like much, but more than half of those surveyed said it would take them at least five months to pay off their holiday debt. Create a list of holiday spending expenses. Simply saving up for the gifts you plan to buy isn’t enough. 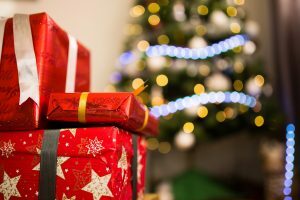 Be sure to include extra expenses you’ll have during the holidays, such as: cards, wrapping paper, work gift exchanges, charitable donations, decorations and travel expenses. Make a shopping list. Now the fun begins! Write down one to two ideas in your price range for everyone on your shopping list. Search sales in the papers and online. Be sure to take advantage of Black Friday and Cyber Monday specials. Track your spending. Carry your budget sheet with you while shopping and track your holiday spending on every item purchased. This helps you see exactly where your money goes and is the best way to stick to your budget. Get creative! Buying — or making — meaningful gifts can go a lot further than you may think. Remember, you have nothing to prove this holiday season. Blowing your budget on expensive gifts won’t bring lasting happiness. Get creative! Homemade gifts are a special way to show your loved ones how much you care. It may take some creativity to stay out of debt this holiday season, but you’ll be glad you did. When the calendar rolls to 2019, start putting away a little extra each month in preparation for next year’s holiday spending!